In Deep Church, Belcher brings the best insights of all sides to forge a third way between emerging and traditional. In a fair and evenhanded way, Belcher explores the proposals of such emerging church leaders as Tony Jones, Brian McLaren and Doug Pagitt. He offers measured appreciation and affirmation as well as balanced critique. 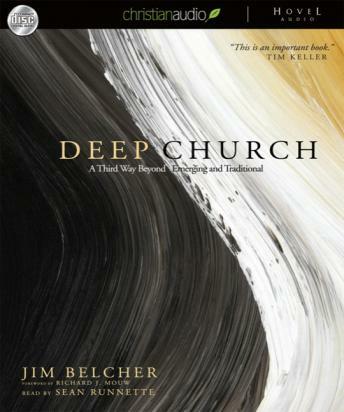 Moving beyond reaction, Belcher provides constructive models from his own church planting experience and paints a picture of what this alternate, deep church looks like--a missional church committed to both tradition and culture, valuing innovation in worship, arts and community but also creeds and confessions.